This year my math department decided to “office” together. This means that we took a classroom and converted it into an office for the math teachers to hang out and work in. We then go out into shared classrooms to teach every period. The classrooms are shared and don’t belong to any one teacher. I was a bit leary about this idea at first. I try extremely hard to get as much work done as possible in during the day and didn’t know if sharing an office with 7 other math teachers would be very productive. I also love my classroom! I have lamps, and supplies for my students and a giant old school boom box where I can play tunes while they work. However, it turns out that I LOVE being in the math office. 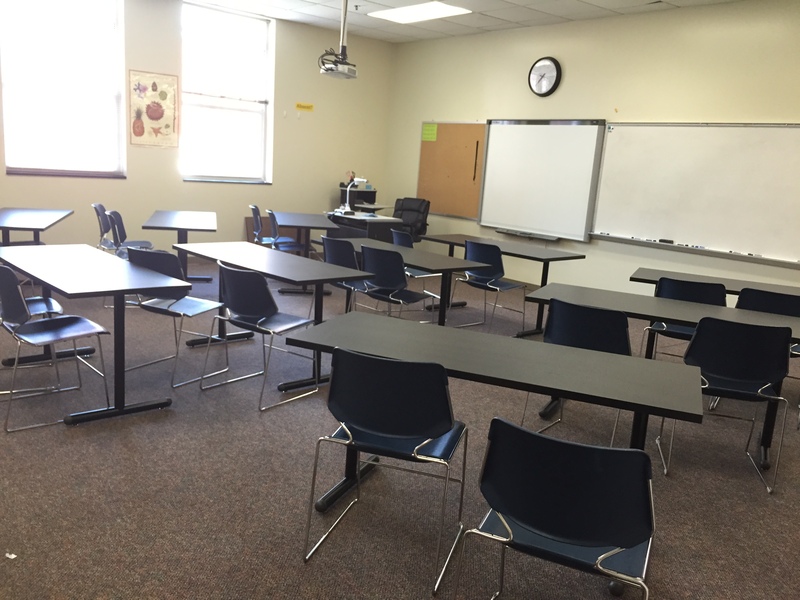 We have these super cool desks that we designed in two “islands” of three teachers each. I am sitting in the back so I can’t see the door. I requested that location so I could get more work done – turns out I’m too social. Bonus is that I’m next to our “micro-mini” kitchen! 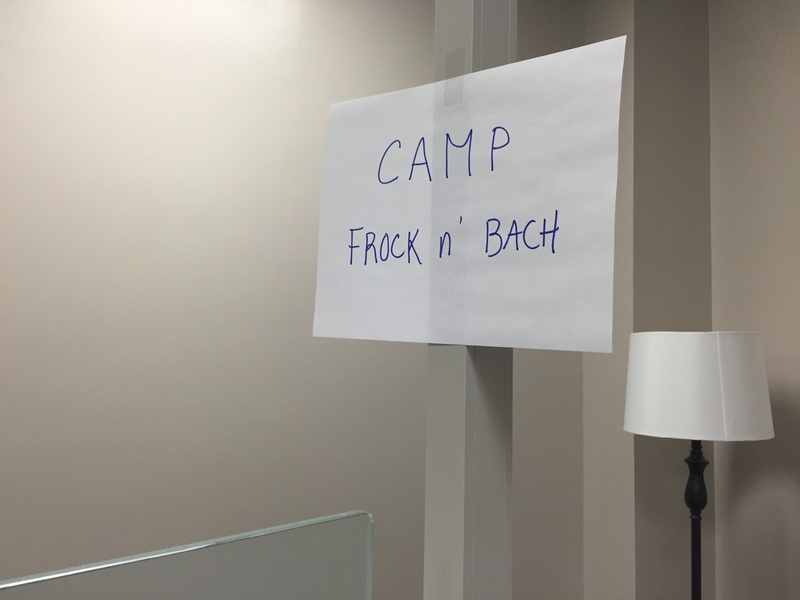 My island is named “Camp Frock N Bach” as it contains Julia Finneyfrock (who just started writing a blog! ), and Russ Campbell. I love them both so we are having a blast! Julia also posted about our awesome office (and even better pics) so go read her post too! Students come in occasionally for help, but it really feels like an “adult” space. I left teaching for a couple of years to work in business and it really feels like an office! We have a lunch table in the back, a small refrigerator, coffee maker and microwave. We share ideas and talk math frequently. We are even going to start making crock-pot lunches on Wednesdays. It’s actually been a blast because I feel like I have adult time, which can be rare when you are teaching all day.